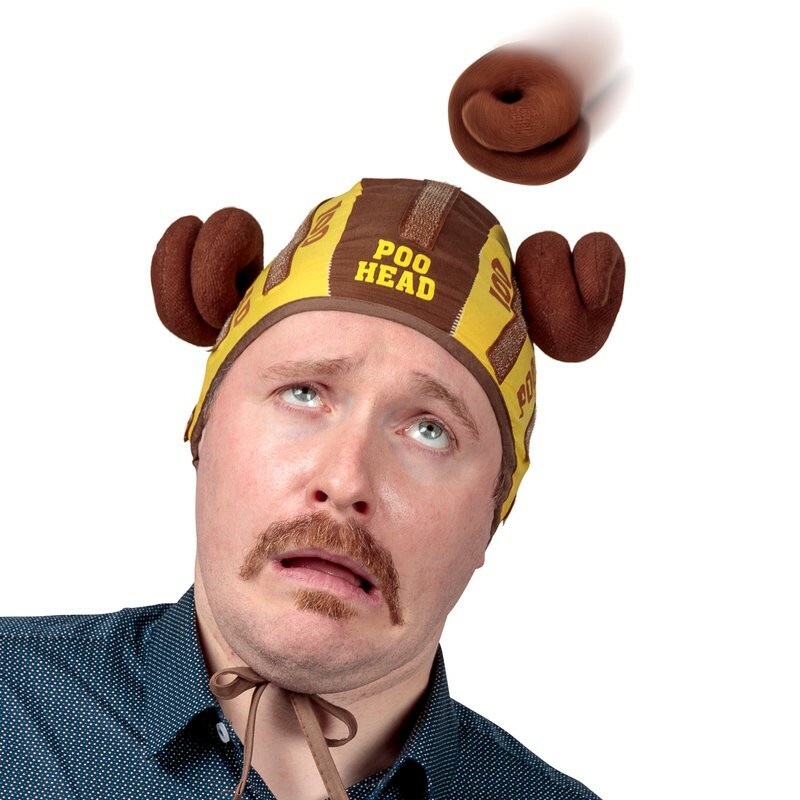 Novelty catching game with Velcro hat and plush balls shaped like mounds of poo. 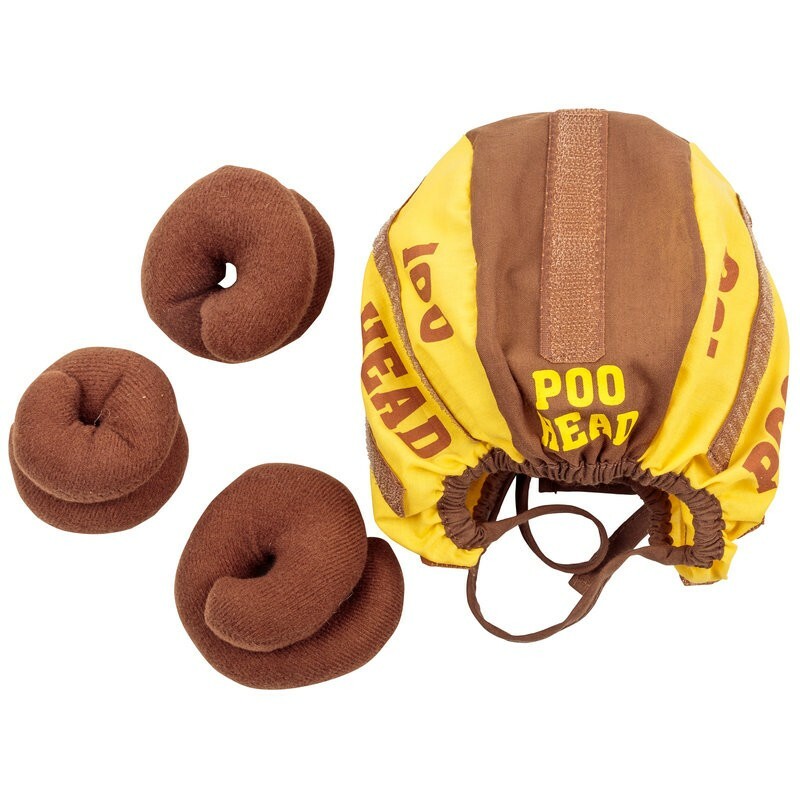 The set comes with a head cap equipped with Velcro strips, as well as three soft poops that adhere to these strips. The aim of the game is for players to throw the mounds of poo and catch them with the cap whilst wearing it. It’s very energetic and silly fun that’s guaranteed to draw a smile from anyone who plays (or even spectates!). 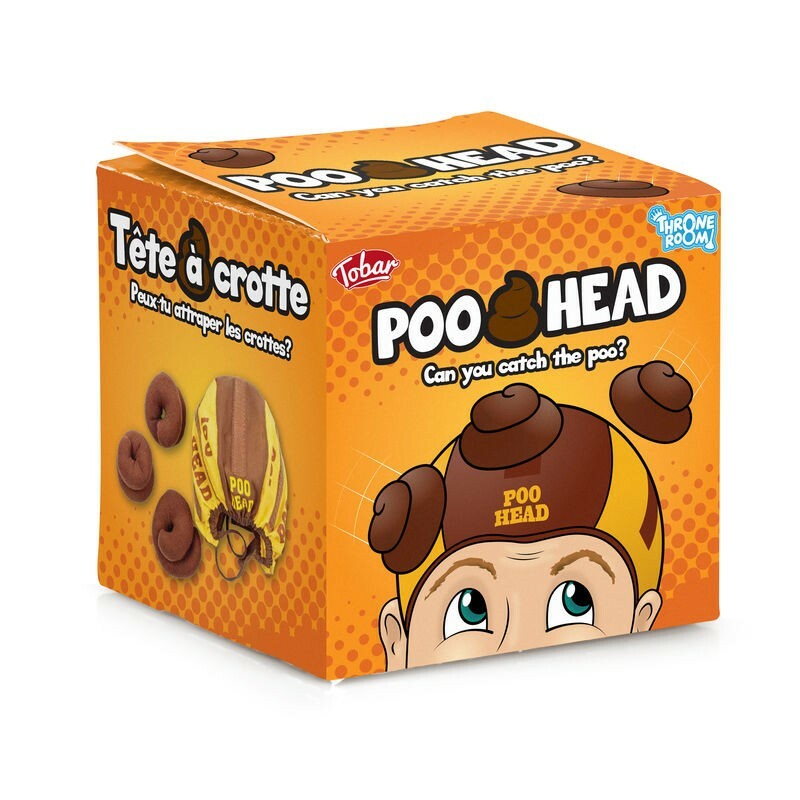 Poo head is funny yet simple, so involve the whole family!